Learn how to build your own solar panel from every day components. This step by step building plane will enable you to understand the basic concepts of how solar panels are created and how they work. This is not “How to make PV Solar Cells”. It is possible to home-make Copper Oxide and other kinds of materials but that is a whole nother story which I may do in the future. I may be a little bit ambitious to try to show you how I made PV Solar panels out of various types of cells I collected and how and where I obtained them rather inexpensively, and some of the differences in the various kinds, but most of all, how to work with them to get free electricity under the light of the sun and other sources of light. In essence, this involves ways to connect cells, which may produce more or less than one volt, and not only try to increase power output but also decrease the load, that is, efficiently conserve the energy whether it is meager or significant. For example, even the weakest solar panels can run watches, calculators, radios, charge batteries, and if a computer were specifically designed to, it would be as solar-powerable as a calculator. 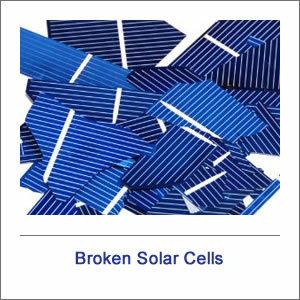 “Broken” solar cells. They are very cheap and they work, they are just randomly shaped. They are usually crystalline silicon ones, which ALWAYS (ha!) look broken even when they are not. Surplus solar cells. Amorphous silicon printed on glass (check) are excellent, usually producing more than a volt, and much sturdier than the thin ones that break in bulk quantities. If these break, we can fix them, usually. Indium Copper Selenide Cells. These are “new” and are conveniently sold as glass tiles with easy to solder tabs. Brass extrusions, bracket |_| shaped – Convenient for connecting to glass cells. Voltage doubler or multiplier circuits (you can make) to increase voltage output. -examples: ICL7660, MAX1044, MAX232, etc. AC Inverter – if you are charging a powerful battery and would occasionally run some mains-powered appliance. Some UPS’s can be easily modified to be inverters, if they can be turned on after a power failure. Defective solar calculators, solar charged flashlights, etc. For a reasonably good deal on Complete and Useful Solar Panels I recommend “Solar Car Battery Chargers” that are about 1 or 2 watts and between 20 and 30, whenever an opportunity to get some arises. But those are what I am trying to show how to Make an approximate equivalent of.